Death/Thrash Metal band from Santiago - Boston, formed by Yoav Ruiz-Feingold (Vocals), Matías Bahamondes (Guitars), Agustín Lobo (Drums) and Cristóbal Gómez (Bass). 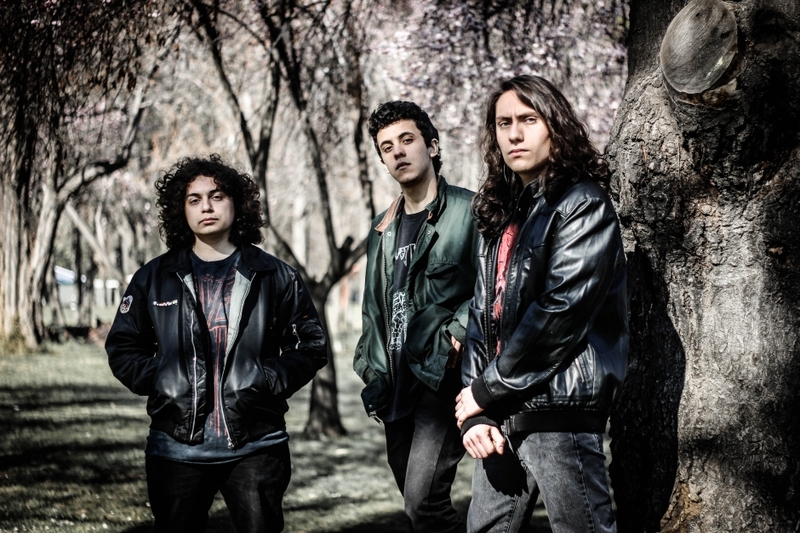 The band was formed in 2013, when guitarist Matías Bahamondes quits progressive band Gran Torino, meeting drummer Agustín Lobo with the idea of playing covers of artists like Metallica, Megadeth, Black Sabbath and Pantera. After that, bassist Gonzalo Viveros joined the band. In that moment, the band was baptized as Overtoun, developing styles like Thrash and Heavy Metal. In early 2014, the band did not have a full time singer, so Juan de Dios Schoennenbeck helped with those duties in some shows. Also vocalist Diego Pérez Espech joined the band for some school competitions. In 2015, Viveros was replaced for Cristóbal Gómez, current bass player. From then, they continued to play in the local school band scene. A memorable show for the band was their participation on the XXXIX Alcántara Festival, sharing stage with national-known bands. During 2016, the EP “Eyes Wide Open,” was released, with five compositions that were included in the band's first album. In that release, the band worked in the style of Thrash and Groove Metal. ​ In the beginnings of 2017, Bahamondes started his formal studies in Berklee College of Music in Boston, meeting bassist/vocalist Yoav Ruiz – Feingold, event that started the recordings of their first album. ​ Currently, in 2018, the band finished the production of their first LP “Centuries of Lies,” in which they included the genres of Death Metal and Latin Music. They are organizing promotional shows for the album, and in June 2019 they will hit the studio again to record their second release.